The University of California–San Francisco's Legacy Tobacco Documents Library demonstrates how the tobacco industry pioneered modern techniques for manipulating politics, scientific research, and public opinion. It's a sort of Rosetta Stone for deciphering corporate propaganda. 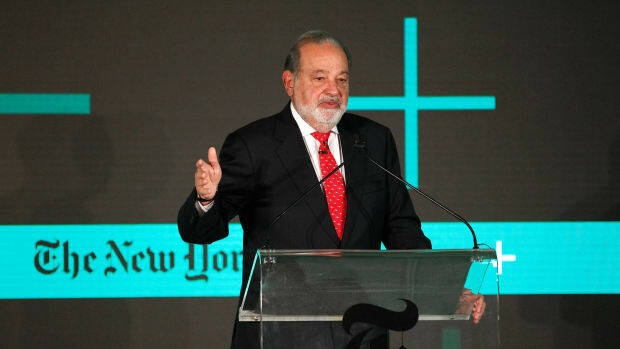 This summer, Mexico&apos;s Carlos Slim Helu was named Forbes&apos; world&apos;s richest man. Did Slim reach his status through acumen and timing, as much of the financial press reported? Or is he the beneficiary of Mexican cronyism, as Foreign Affairs posited in its November–December 2007 issue? A hint is available in a searchable online database run by a university not known for its research into public policy, business, or international affairs. Yet the Legacy Tobacco Documents Library tended to by nurses, cardiology professors, medical historians, and other health-care professionals at the University of California–San Francisco provides a unique window into any area of public life involving regulation, political campaigning, corruption, business, lobbying, campaign finance, science, media, public relations, and combinations in between. The constantly expanding archive holds 40 million pages of secret corporate memos, privileged legal communications, and other documents obtained through discovery processes from a decade of successful lawsuits alleging that the industry had lied about tobacco&apos;s health effects. The documents demonstrate how the industry pioneered modern techniques for manipulating politics, scientific research, and public opinion. As a result, the library is something of a Rosetta Stone that reaches beyond the tobacco industry to assist anyone seeking to decipher how business, politics, and media function. "I don&apos;t think people quite comprehend quite what this is," says Ruth Malone, UCSF professor of nursing and health policy. "I think people a couple decades from now may appreciate it more than we are able to now, because I think it provides such an incredible snapshot of corporate activity of a particular period in America. There&apos;s just nothing like that that has ever been in existence for the use of scholars, journalists, and citizens." Take the case of Slim, who appears and reappears in the tobacco archives enjoying cozy relationships with politicians and regulators. In 1992, the Mexican government proposed restricting advertising for cigarettes, threatening the interest of Slim-controlled Cigatam, which manufactured and sold Marlboro and other Philip Morris brand cigarettes in Mexico. "After lengthy negotiations with Cigatam&apos;s representatives, the most restricting articles were removed and a much milder version is awaiting the president&apos;s signature," according to a 1993 Philip Morris in-house marketing presentation. To ice the cake, "this negotiation has allowed Cigatam to reduce their tax burden," the presentation said. Potential regulation again reared its head in Mexico in 1997 when United States attorneys general agreed to a tentative $368 billion lawsuit settlement with tobacco companies. Some feared governments such as Mexico&apos;s might also sue. "The worst would be to ignore what&apos;s going on in other countries," wrote the head of Mexico&apos;s consumer protection agency in a June of 1997 handwritten note addressing Slim simply as "Carlos." "We need to prepare for the reactions that these measures might cause in Mexico. If we take intelligent and opportune actions, we could avoid headaches in the future." Three months later, Philip Morris executives exchanged memos describing new regulations proposed by Mexico&apos;s Health Ministry that would limit tobacco advertising. In March of 1999, Mexico President Ernesto Zedillo, along with his health and treasury ministers, met at Slim&apos;s home with Philip Morris vice chairman Murray Bring. "I can&apos;t tell you what a breath of fresh air it is to discuss important health issues with a government official who is both intelligent and open-minded," Bring wrote. A month later, Philip Morris put in company files Mexican news articles describing how the Mexican regulators rebuffed efforts by attorneys in Mexico and the U.S. to convince the government to file U.S.-style lawsuits against tobacco companies. Mexico&apos;s health minister announced one year later an advertising agreement between the government and tobacco companies in which the industry promised not to promote its product among youth, a measure that seemed milder than the potential U.S.-style "headaches" forewarned by consumer protection agency head Fernando Lerdo de Tejada. Since May 12th, 1994, when UCSF cardiology professor Stanton Glantz received a box of secret Brown & Williamson tobacco papers from an anonymous "Mr. Butts," attorneys have used those and other internal documents to push the tobacco industry into retreat with a series of multibillion-dollar lawsuits, culminating in an August of 2006 U.S. District Court ruling that the cigarette industry systematically violated the Racketeer Influenced and Corrupt Organizations Act. When UCSF staffers in 2005 ran the now 40 million-page tobacco archive through digital character-recognition software, allowing every legible word to be identified by search engines, there was a hope of leveraging the archive&apos;s power beyond the tobacco industry to provide insight into to the widespread manipulation of government officials, the public, science, and the media. UCSF researchers have emitted a steady stream of papers describing how the industry has sought to divide and conquer tobacco control advocates, how it has sought to confuse the public about tobacco risk, and how it thwarted tobacco control programs in the military. 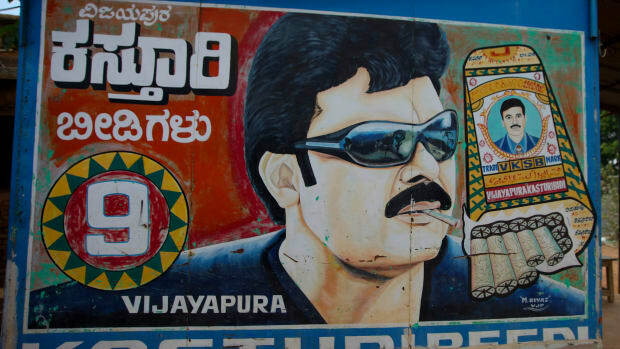 Exposing tobacco&apos;s wrongs is lonely work in the post blockbuster-lawsuit era, however. "We had a paper turned down by a journal. The rejection letter we got said, &apos;Oh, this is another paper based on litigation documents,&apos; like it was a little pile of stuff," Malone says. Former UCSF researcher Anne Landman in November launched a tobacco "wiki." Like the Wikipedia online encyclopedia that makes an expert of every man, Landman hopes to foster a wave of citizen research into the archive through the wiki, which will become the basis for entries on proposed topics such as "smoking accessories and paraphernalia," "symbolism of smoking," and industry "brainstorming documents." "We&apos;d like to stimulate citizen journalism," Landman says. Carlos Slims of the world: You&apos;re forewarned. Enter our contest and vie for a prize while unearthing dirt on past tobacco industry associates or practices. Presenting 10 cigarette commercials from TV's 'golden era' featuring recognizable faces and truly astounding health claims. 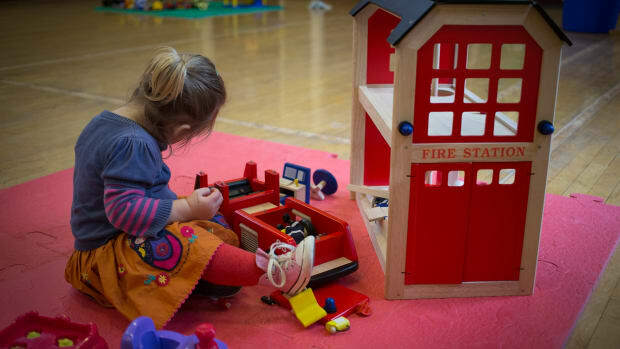 The rise of shift work has left parents more dependent than ever on round-the-clock daycare, but the under-regulated industry may be putting children at risk. Cigarette manufacturers have set their sights on countries where tobacco-control laws aren't as robust.